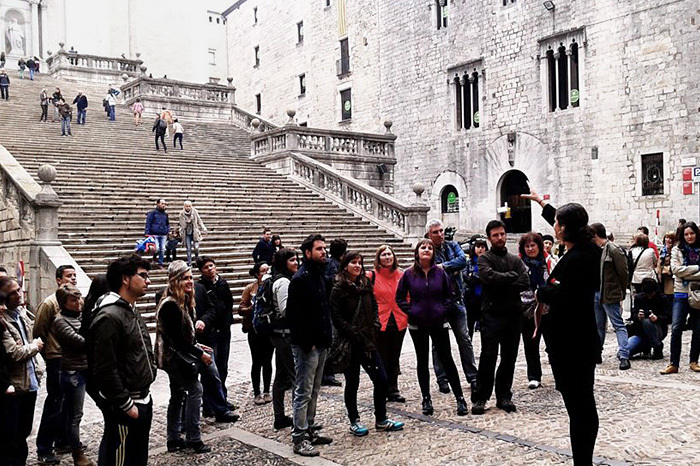 Fake touristic tour around the historic center of Girona. The tour highlights several events of the city that contradict its official touristic representation. The route is scheduled during Easter holidays and it is spread as a conventional tour (using a deliberately ambiguous language that neither anticipates nor contradicts its intentions). The tour is free and includes a final refreshment. The aim is to attract as many visitors as possible, mainly audience not used to alternative tours. 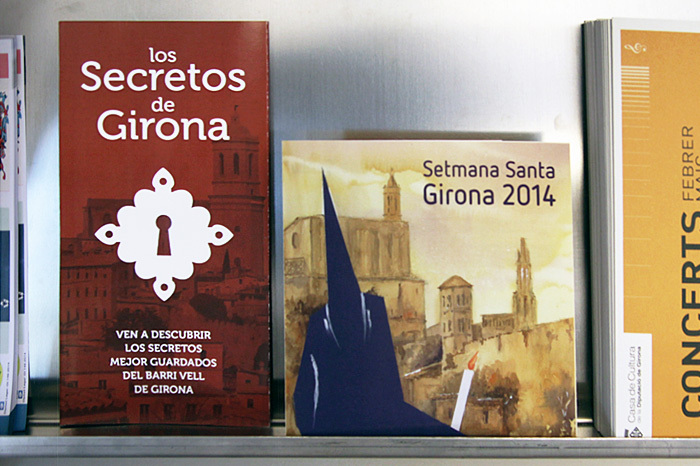 “The Secrets of Girona” links parts of the city related to social protest, gentrification, evictions, poverty, or deportation of immigrants among other themes. All the information reported is public information, obtained solely from the local newspaper’s archives and from interviews posted on the net related to the facts here revisited. During the three sessions of the tour, around 200 tourists join the route, being over a hundred the ones who finish it. The final refreshment moment of the tour is used to discuss together about the experience. The audience reactions are diverse. While some appreciate the proposal others protest. Despite being a small minority, some of these protests lead the art center -responsible of the project- to exclude this work from the exhibition where it had to be shown.